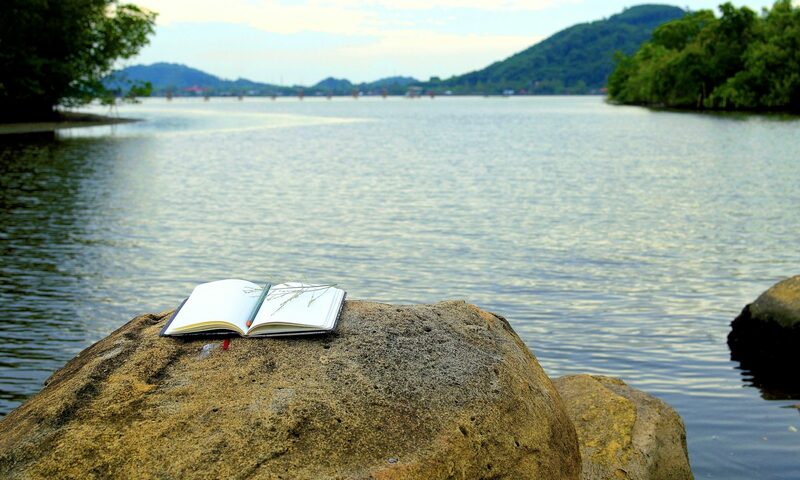 The Department of English and Foreign Languages at Augusta University is pleased to announce the 2019 African American Read-In, an event that encourages the community to read literature written by African American authors. The event will take place on Thursday, February 14th, from 9 AM- 3 PM, in the Jaguar Student Activities Center Ballroom, on AU’s Summerville Campus. 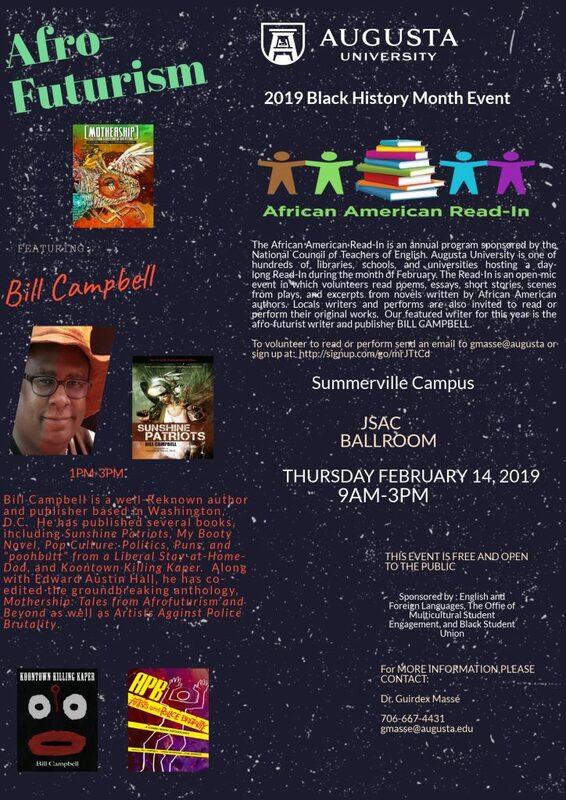 This year’s featured speaker is science/Afro-Futurist writer Bill Campbell. Mr. Campbell will discuss his work and its connection to social activism from 1:15-2:30 PM . The Office of Multicultural Student Engagement and the Black Student Union are co-sponsors for this event. As in past years, volunteer readers (or performers) are needed. To sign-up: http://signup.com/go/mrJTtCd. You do not need to be a member of the AU community to participate.